Anyone who has spent a weekend marathon sewing knows that while your hands may be busy, your ears are idle for hours at a time, especially if you live alone or are crafting while the kids are at school during the week. While binge watching Downton Abbey or listening to audio books are great options, today many makers are choosing to expand their minds with podcasts. 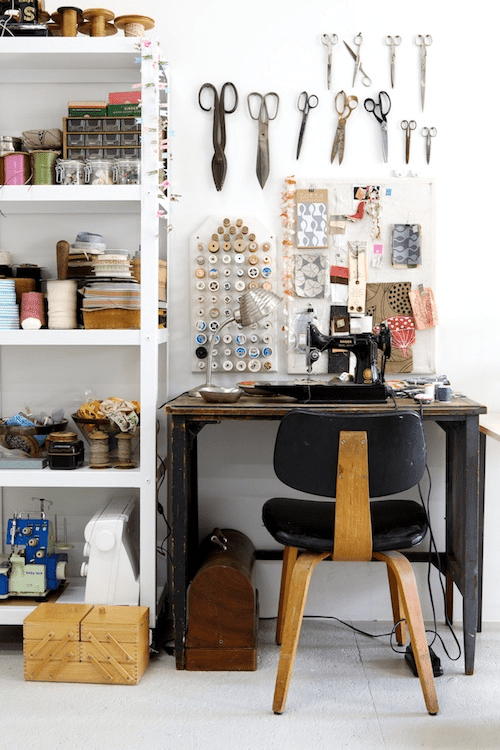 This medium has really exploded as of late, to the point where there is just about a podcast for anything and everything you could ever want to learn, including the ins & outs of the sewing and crafting world. With all the amazing podcasts out there to choose from, where should you begin? Spoonflower staffer Theresa has been surfing the digital waves and is here to share five personal favorites for makers and creatives. Enjoy! 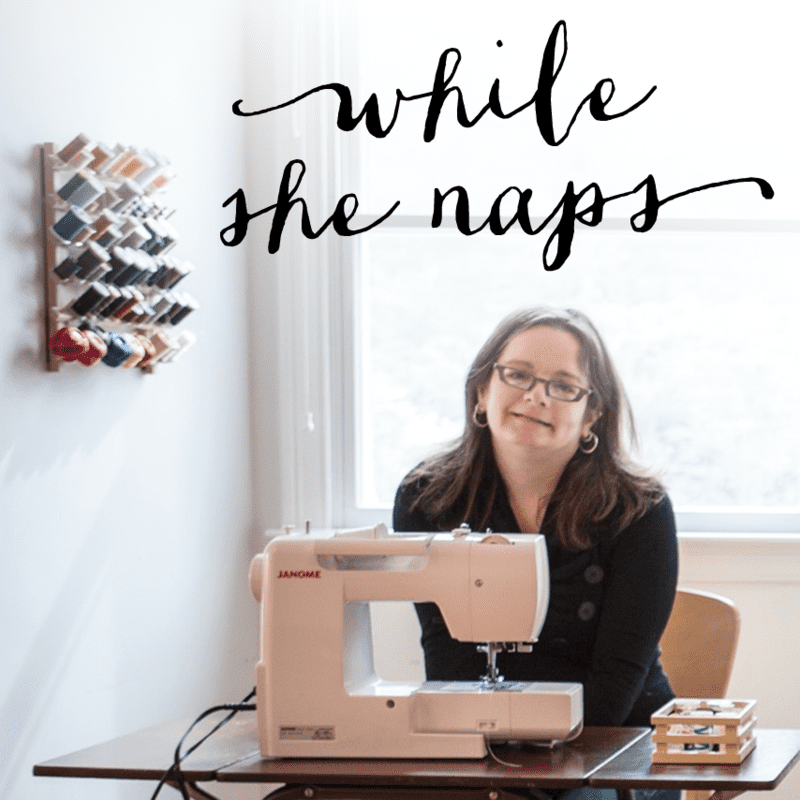 While She Naps is a wonderful podcast by Abby Glassenberg, who sits down with thought leaders, designers and makers about what it really takes to build a creative business. Here at Spoonflower, we almost never start a Wednesday without reading Abby’s newsletter – we like to think of her as our premier news reporter for the crafting world! Abby brings the same in-depth research and thoughtful questioning to her podcast that we have come to love in her weekly newsletters. Plus, you can hear a great interview with Spoonflower co-founder Stephen Fraser in episode #48! We even love Abby’s podcast so much, we decided to be sponsors! 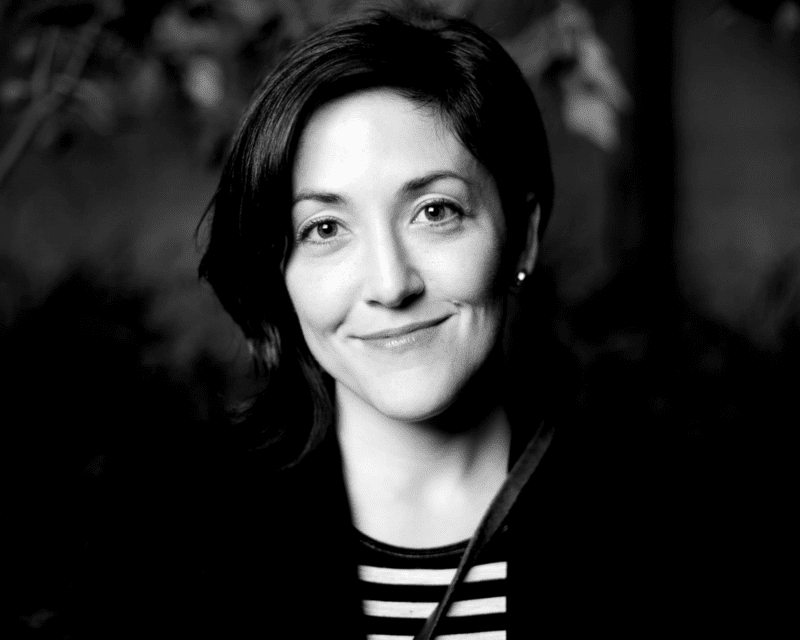 After the Jump with Grace Bonney Features the founder and creative entrepreneur powerhouse behind the hugely popular blog Design*Sponge. Grace and her guests give business advice on branding, finance and how to make the most of your social media marketing. One of my personal favorite episodes is her interview with the amazing illustrator Julia Rothman, who also authored this excellent tutorial on how to create a seamless repeat by hand! This podcast took hasn’t recorded a new episode since 2014, but we were so excited to hear that Grace just announced the podcast will be returning soon! 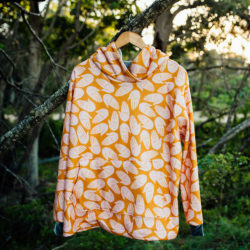 Seamwork Radio Sewing your own clothing can change your perspective in surprising ways. 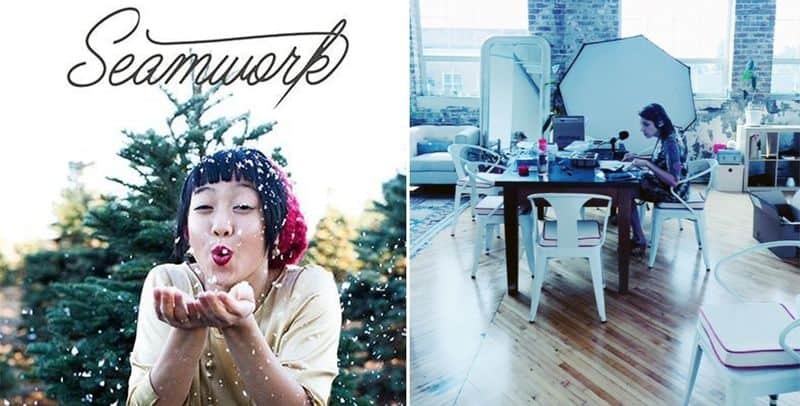 Seamwork Radio brought to you by the maker of Colette Patterns brings you personal stories about all the ways designing, making, and wearing your own clothing can alter your life. 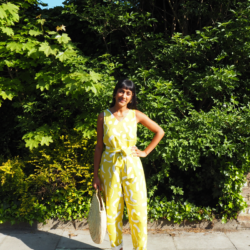 We talk to artists, designers, and everyday creators about how the act of sewing has helped them slow down, get to know their bodies, discover their own identity, and take part in the growing movement to revive the art of sewing. Think Make Sell (no longer recording live episodes) is a podcast by Thomas Borowski, which is perfect for those of us who are wildly creative and skilled, but struggle with monetizing our craft and turning it into a viable business. Hear thought-provoking interviews with creatives who’ve been successful at turning their ideas into businesses, and learn how you can do the same! Thread Cult is a podcast for the fashion, sewing and textile obsessed, hosted by Christine Cyr Clisset of the popular blog DaughterFish.com. Christine interviews master craft people and creators in the home sewing, textile, and fashion communities. Want to find the new artist whose work you’re obsessed with? This podcast is for you. 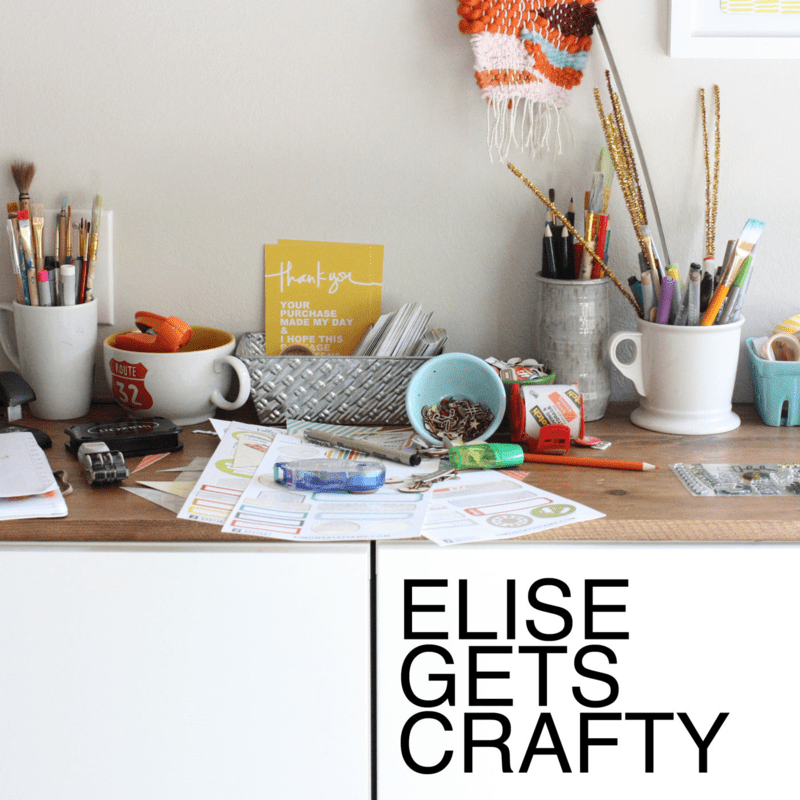 Elise Gets Crafty introduces you to smart, interesting people who are good at what they do and are willing to share their expertise. It’s geared toward small business owners and creatives who are looking to get inspired by their fellow makers. Do you have a favorite podcast that you listen to while crafting? If so, please share with us in the comments below! Another one of my favorites! 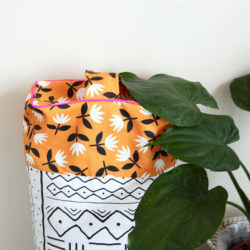 We pretty much are fans of anything Colette Patterns puts out. I was excited to check these out since 3 of them were new to me — but those same 3 haven’t posted a new episode in months or years! It’d be nice to hear some that are still current. I can suggest Modern Sewciety and a The Crafty Planner. Thanks for the recommendations, Sarah! The archives of After the Jump, Think Make Sell, and Thread Cult still have some great, timeless episodes. Sorry for any disappointment–we will definitely check out the ones you suggest! I also have a podcast called ‘Art of Creative Living’. It’s brand new, but I’d love and appreciate if you give it listen. We can’t wait to start listening! Love all of these but have not listened to The Truth yet–will have to check it out! Love Invisibilia–“The Power of Categories” episode blew me away! We totally will! Thanks so much for commenting and sharing! Can’t wait to check it out! Thanks for sharing, Dixie! Still Untitled/Adam Savage: I listen to him make stuff while I make stuff. Sure, not everyone wants to know how to build a scale model of the scale model of the maze at the Overlook Hotel…but his attention to detail makes me work a little sharper. Plus his tool storage ideas are critical information. I’d add Cosplay Coach on PopcornTalk channel on YouTube. Meridith Placko knows her lycra from her spandex, and knows no fear. Themed on movies and the costumes in them, all the panelists are sewists with buckets of costume experience. « Vote For Your Favorite Holiday Gift Bag Designs!